Stick with me here. But first things first. Thank you. Seriously. Everyone who is reading this. You help me feel that having a blog is one of the better decisions I’ve ever made. I wasn’t so sure 3 years ago when I first showed up here on the internet. I’m not easily intimidated. Plunging into something new? No sweat. The technical side of blogging? Totally intimidated me. Stretching the furthest limits of my technical know-how, that first week I googled women and blogging; and discovered that a blogging conference was happening at that instant in San Francisco. Could a message from the universe by any more clear? Help was two hours away. I jumped in my car and showed up. I figured I’d be the oldest—and the newest– blogger in attendance. I was also the most clueless. Who knew blogging was so BIG? Who knew I had stumbled on (not the internet site; that took me 2 more years ) to the very BIGGEST blogging conference for women? Actually it’s a pretty funny story. Only I didn’t meet a soul. I didn’t learn a thing about blogging. I did learn that you had to buy a ticket in advance. I couldn’t even get in the door. Unintimidated, I showed up for the next year’s BlogHer (with a ticket, this time). I still didn’t know anyone. But that year I did learn a little secret about blogging that surprised me. It’s not solitary; it’s social. For two days every summer, BlogHer erupts into a huge, hectic party–where thousands of women attending run the gamut of anyone and everyone online. It’s impossible NOT to make friends or at least, connections. So in addition to all the other ways blogging had already enriched my life, this opened up a whole world of people I never would have known— at a time of my life when I least expected it. A few people are selected to read their posts that were chosen as the best of the past year. It’s called Voices of the Year. Kind of like the Academy Awards only with no envelope—and much less glamour. Sitting in the audience that day , I can’t begin to describe the experience, the talent—and the emotional range. 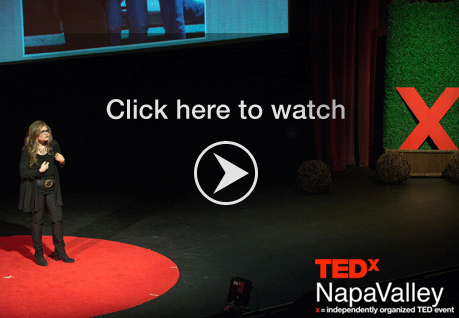 I sobbed listening to the woman who had lost her only child . And I choked laughing over the story by the woman who couldn’t remember if she had removed a tampon or if it had launched itself into (her) inner space. This year I’ll have a completely different perspective. At my third BlogHer (if you don’t count my guerrilla attempt) I’ve gone from reject to respect. In a few hours I’ll be one of those standing on the stage, reading my post; selected as one of the Voices of the Year. I figure it’s as close as I’ll ever get to making an Oscar speech. As I said I’m not easily intimidated. But I am honored. Congratulations!! I share so many of your posts , and your recipes too! Keep on blogging, it’s part of my daily ritual, You and Words With Friends! I congratulate you to the utmost! I love to read your blog and can totally see why you have been chosen as one of our planet’s best voices. i guess it is kind of like getting an oscar or academy award. you rock! congratulations. I read you every day as well, and am happy to know my daughters enjoy your writing. Congratulations… truth always shines through! 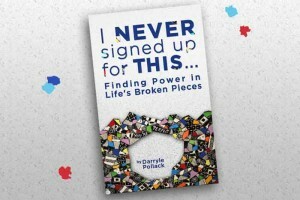 Congratulations Darryle. You truly deserve an award for your writing. I don’t see how you have any time left for Words With Friends! But am so glad that you do. Keep up the good work. It is so appreciated. I am so happy for you! Good Going! Darryle: Really proud of you and INSUFT. Well-deserved, to say the least. It is so amazing and exciting to observe how your daily posts magically transmit via the internet to all of your readers (now friends) and inspire so many people, EVERY DAY! Must be a wonderful feeling to know how appreciated, loved, respected and admired you are. Keep ’em comin’, PLEASE! So proud of you Darryle, but not surprised you’re one of the voices of the year! 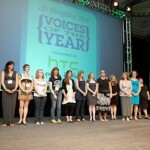 I had no idea that I was speaking to a Voice of the Year every time we ran into each other at BlogHer! Though I have to say, after our conversations, I’m not in the least bit surprised. You have a way about you that speaks of confidence and experience, not to mention how interesting you are. So glad I had the opportunity to meet you! I’m only sorry I didn’t get to see you read. Will there be a link soon? Can’t decide if i’m more flattered that you share my posts—or my recipes! thanks for both! Actually I’m far from one of our planet’s best voices and equally far from actually getting an Oscar—but will still accept your congratulations –to the utmost! Thanks so much; and your comment is right on target–one of the messages that comes through most at BlogHer is to be authentic and express your own truth. And I appreciate you for reading, and taking YOUR time to leave a comment. Lately you’re right–I barely had any time for anything—including—Words with Friends. Miss it! Thanks for being such a loyal reader and supporter. You’ve read me so long now you’re inside my head, too. Knowing people are reading and being affected in any way does make having a blog incredibly rewarding—but the truth is I’d be doing it even if no one was reading. Being a Voice of the Year was like the cherry on top! Thank u! 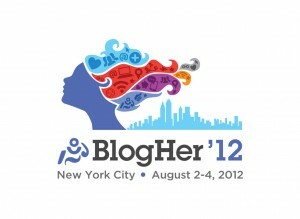 And the good going was going to BlogHer–it was fabulous! It was definitely a rush! Wish you were there too–hopefully next year. Thanks so much for stopping by and for the well wishes. Thank you for this, Morra, and for so many other things. 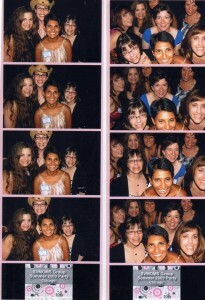 I’m so glad being at BlogHer gave me the chance to give you a real hug instead of a virtual one. Loved seeing you there! Thanks so much for commenting and remember I expect two things of your new blog—credit for the name, and great things! 🙂 Haha. Well, hey, congratulations! I didn’t need to click on you 3 years ago post, because I remember it well. Well, thank you! 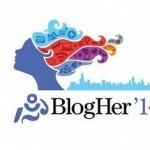 Hard to believe that first post about BlogHer was 3 years ago! So that means I’ve known you for 3 years–wow. Pretty sure you started before me, right? Hope all is well. How fun–and flattering–to think you’re reading from Singapore–gotta love the internet! I so appreciate your vote of confidence–and also appreciate that you came out of the background so I can “meet” you, too– hope you’ll make it to BlogHer someday. You can get all the transcripts of the sessions online–you just can’t get the Dove bars! Thanks so much, Sylvia, for commenting—and for reading.